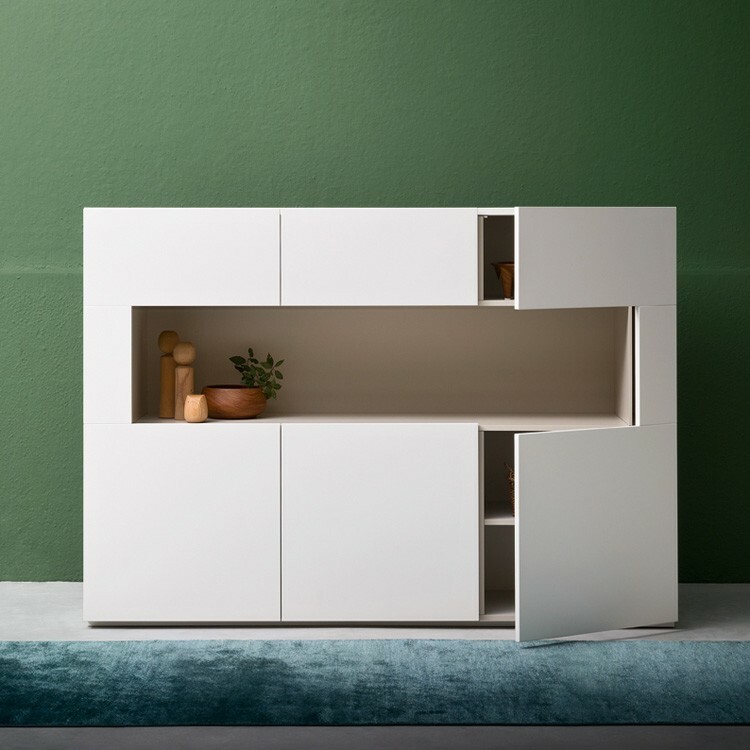 A contemporary display cabinet featuring two C shaped doors, a lower central door and an upper flap door. The doors conceal nine equally sized compartments, six below the display area and three above. The doors and main body are available in matt colors (painted with/without the wood grain visible), high gloss colors, heat treated oak, or fashion oak (wood stains). The interior is painted matt dove gray.